STAMFORD, Conn. – Jan. 20, 2015 – The best hockey players in the world will come together this weekend, as NBCSN presents comprehensive coverage of the 2015 NHL All-Star Weekend in Columbus, Ohio, beginning on Friday night at 7:30 p.m. ET with the NHL All-Star Fantasy Draft. Coverage continues Saturday night at 7 p.m. ET with the NHL All-Star Skills Competition, and culminates with the 2015 NHL All-Star Game on Sunday evening at 5 p.m. ET. Emmy Award-winning play-by-play commentator and Sports Illustrated 2014 Media Person of the Year Mike ‘Doc’ Emrick, analyst Eddie Olczyk and Emmy Award-winning ‘Inside-the-Glass’ analyst Pierre McGuire will have the call of the 2015 NHL All-Star Game from Nationwide Arena in Columbus, Ohio. In addition to the All-Star Game on Sunday, there are three games on NBCSN this week, featuring 13 All-Star selections. Eight All-Stars will play in tomorrow night’s Wednesday Night Rivalry showdown on NBCSN, when All-Star Sidney Crosby and the Pittsburgh Penguins host All-Star captain Jonathan Toews and the Chicago Blackhawks at 8 p.m. ET. All-Star defenseman Brent Burns and the San Jose Sharks will host fellow All-Star blue-liner Drew Doughty and the Los Angeles Kings at 10:30 p.m. ET on NBCSN’s Wednesday nightcap. Coverage begins tonight at 7:30 p.m. ET, as All-Stars Claude Giroux, Jakub Voracek and the Philadelphia Flyers host the in-state rival Pittsburgh Penguins, followed by NHL Rivals at 10:30 p.m. ET, which examines the budding rivalry between the Blackhawks and Penguins. NHL Live, NBCSN’s pre- and post-game NHL studio show, begins one hour prior to puck drop of this week’s games. Liam McHugh will host this week’s coverage alongside former players and analysts Mike Milbury, Keith Jones and Jeremy Roenick. NHL insider Bob McKenzie will join NBCSN’s Wednesday Night Rivalry coverage to provide the latest in-depth news from around the league. 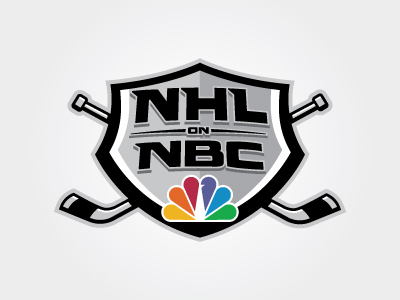 NBCSN’s comprehensive coverage of the 2015 NHL All-Star Weekend begins Friday night at 7:30 p.m. ET with the NHL All-Star Fantasy Draft. Hosts Kathryn Tappen and Daren Millard will be joined by Pierre McGuire to break down the selections of Team Toews and Team Foligno, following last week’s selections of Chicago’s Jonathan Toews and Columbus’ Nick Foligno as captains. Saturday’s coverage of the NHL All-Star Skills Competition begins at 7 p.m. ET on NBCSN, as Dave Strader (play-by-play), Olczyk, and McGuire provide live commentary of the hardest shots, fastest skaters, and best shootout moves. The weekend-long coverage culminates with NBCSN’s live presentation of the 2015 NHL All-Star Game on Sunday at 5 p.m. ET, with Emrick, Olczyk and McGuire on the call. Five Blackhawks All-Stars and three Penguins All-Stars will face off tomorrow night on NBCSN’s Wednesday Night Rivalry in Pittsburgh. All five of the Blackhawks’ All-Star selections (Jonathan Toews, Patrick Kane, Duncan Keith, Brent Seabrook, and Corey Crawford) received more than one million All-Star votes, including All-Star captain Jonathan Toews. Crosby and Evgeni Malkin were selected along with goaltender Marc-Andre Fleury, who replaces injured goaltender Jimmy Howard. Tomorrow’s Wednesday Night Rivalry matchup is the first meeting of the season between the two clubs. The Blackhawks (28-15-2, 58 pts) currently sit in third place in the competitive Central Division, and host the Arizona Coyotes tonight. The Penguins (26-12-6, 58 pts) are in second place in the Metropolitan Division, and visit the Philadelphia Flyers tonight on NBCSN. Emrick, Olczyk, and McGuire will have the call from CONSOL Energy Center in Pittsburgh, Pa.
Tomorrow’s Wednesday nightcap features three 2015 NHL All-Star selections when the San Jose Sharks host the Los Angeles Kings at 10:30 p.m. ET. Sharks All-Star Brent Burns ranks third amongst all defensemen with 35 points (11g/24a), and has as many assists as fellow All-Star blue-liner and King Drew Doughty, who will represent Los Angeles along with team-leading scorer Anze Kopitar. The Kings are looking to rebound from a 2-1 overtime loss against the Calgary Flames on Sunday, while San Jose hopes to bounce back from yesterday’s 5-2 loss to the New Jersey Devils. Despite their recent struggles, the two teams are separated by two points in the Pacific Division, and San Jose is just one point behind Vancouver for second place. Randy Hahn (play-by-play) and Jamie Baker (analyst) will call the action from the SAP Center at San Jose in San Jose, Calif.
Tonight’s coverage features a Keystone State rivalry between the Penguins and Flyers, and four of the top five point-getters in the league. Philadelphia boasts two All-Star selections in captain Claude Giroux and Jakub Voracek. Voracek’s 55 points (17g/38a) currently lead the league, while Giroux sits in tied for fourth with 50 points (15g/35a) with Malkin (19g/31a). Penguins captain Sidney Crosby has amassed 51 points (15g/36a) to rank third in the league, despite playing in only 41 games. Dave Strader (play-by-play) and Brian Engblom (Inside-The-Glass analyst) will call the action from the Wells Fargo Center in Philadelphia, Pa. Note: Games are subject to local blackout. Tues., January 20 NHL Live NBCSN 6:30 p.m.
Pittsburgh at Philadelphia NBCSN 7:30 p.m.
NHL Rivals – Blackhawks-Penguins NBCSN 10:30 p.m.
NHL Top 10 (Encore) NBCSN 11 p.m.
Wed., January 21 NHL Live NBCSN 7 p.m.
Wednesday Night Rivalry – Chicago at Pittsburgh NBCSN 8 p.m.
Wednesday Nightcap – Los Angeles at San Jose NBCSN 10:30 p.m.
Fri., January 23 NHL All-Star Fantasy Draft Pre-Show NBCSN 7:30 p.m.
NHL All-Star Fantasy Draft NBCSN 8 p.m.
NHL All-Star Fantasy Draft (Encore) NBCSN 9:30 p.m. Sat., January 24 NHL All-Star Skills Competition NBCSN 7 p.m. Sun., January 25 NHL All-Star Skills Competition (Encore) NBCSN 2:30 p.m.
NHL All-Star Game NBCSN 5 p.m.
NHL Live, NBC Sports Group’s pre- and post-game studio show, will originate from downtown Phoenix during Super Bowl week. Beginning on Tuesday, Jan. 27, the program will be located at “Super Bowl Central,” NBC Sports Group’s primary home for studio programing during Super Bowl week, located in downtown Phoenix. Hosts Liam McHugh and Kathryn Tappen will anchor NBCSN’s NHL Live coverage throughout the week, alongside former players and analysts Mike Milbury, Keith Jones and Jeremy Roenick. NBCSN will feature six NHL telecasts during the week prior to Super Bowl XLIX, including the Pittsburgh Penguins vs. Washington Capitals on Wednesday Night Rivalry on Jan. 28. The week will also feature rematches of the 2014 Stanley Cup Conference Finals, when the Los Angeles Kings host the Chicago Blackhawks on Jan. 28 at 10:30 p.m. ET, and the New York Rangers host the Montreal Canadiens on Thursday, Jan. 29 at 7 p.m. ET. On Super Bowl Sunday, the St. Louis Blues and Washington Capitals meet at 1 p.m. ET on NBCSN.